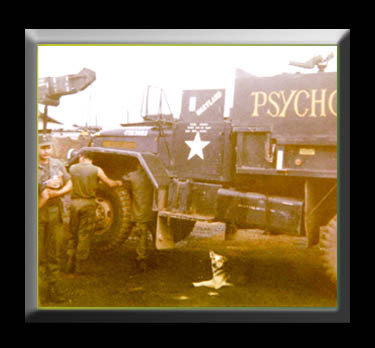 Thank you for visiting the Vietnam Gun Truck "Psychotic Reaction" Web Site! 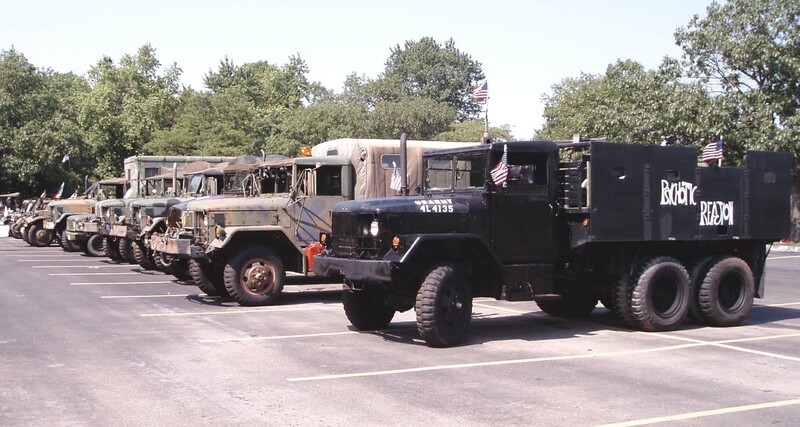 Upcoming Events/ Displays. . . . . . . . . .
Click here to see Flyer of the 2016 Gun Truck Gathering! 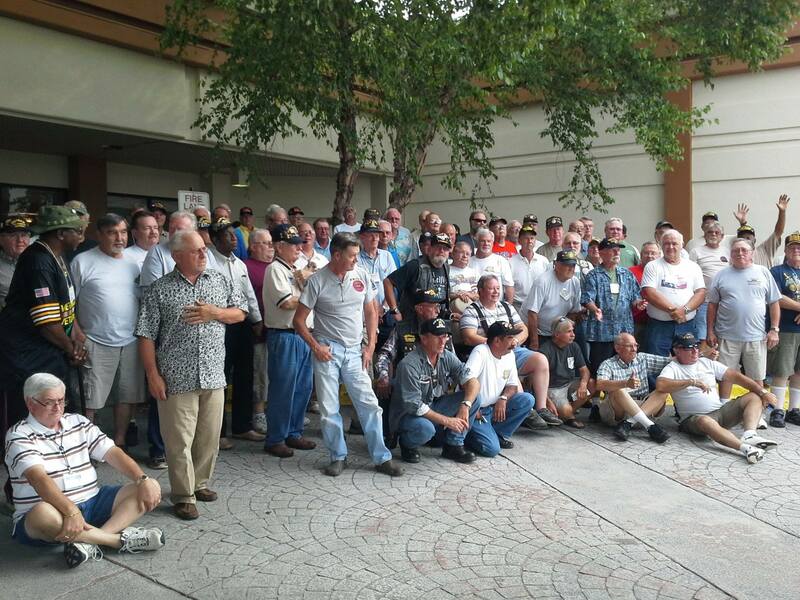 Click here to read Newsletter of the 2014 Gun Truck Gathering! 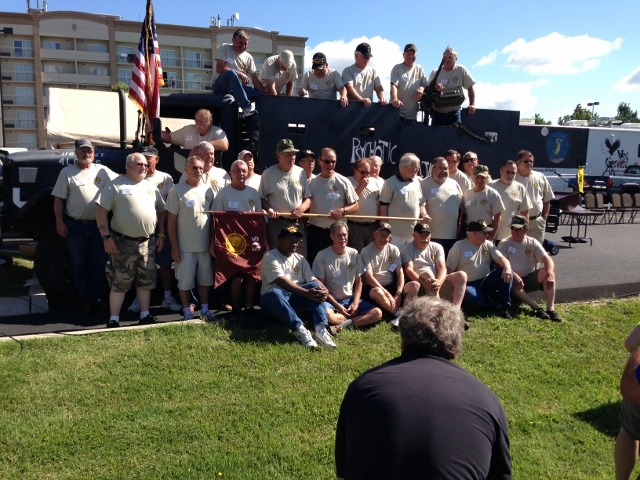 Click here to see video of the 2013 Gun Truck Gathering! 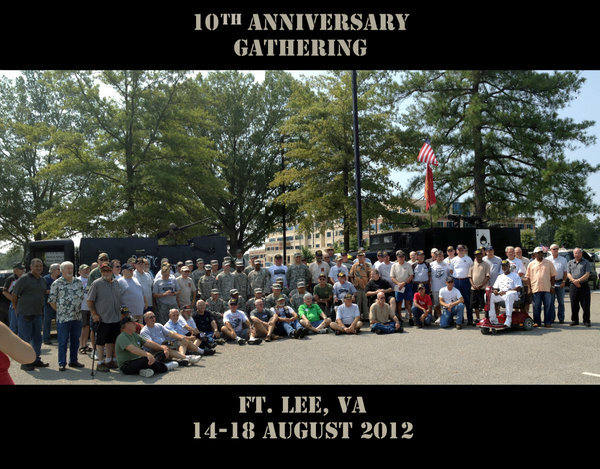 Click here to see photo albums & newsletter reviewing the 2012 Gun Truck Gathering! 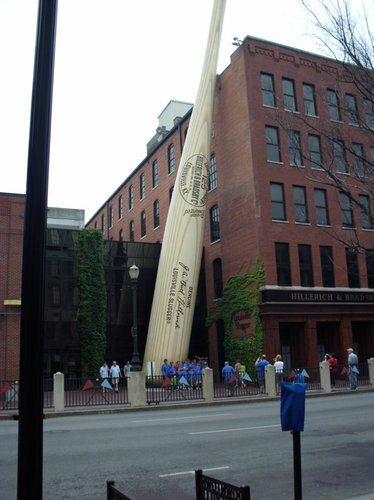 Click here or on this picture of the Louisville Slugger to see a collection of photos from the 2011 Gun Truck Gathering! 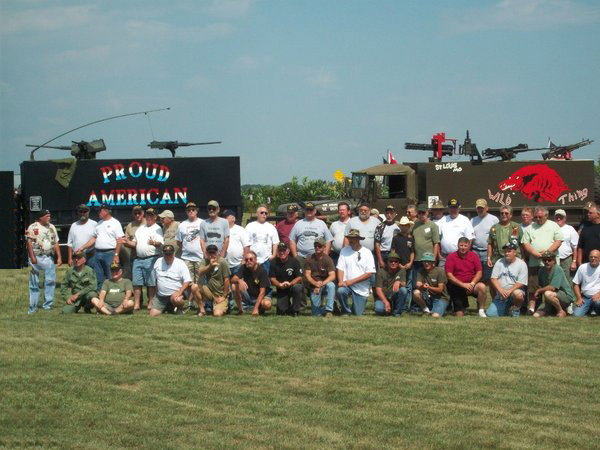 Click here or on this picture of the 2010 Gathering to see a collection of photos from the 2010 Gun Truck Gathering! 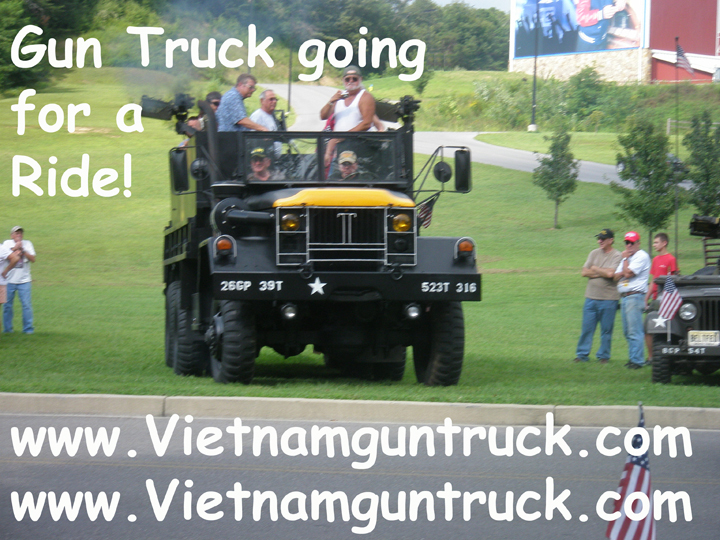 Click here to see a video of Big Trucks Rolling at the Gun Truck Gathering! 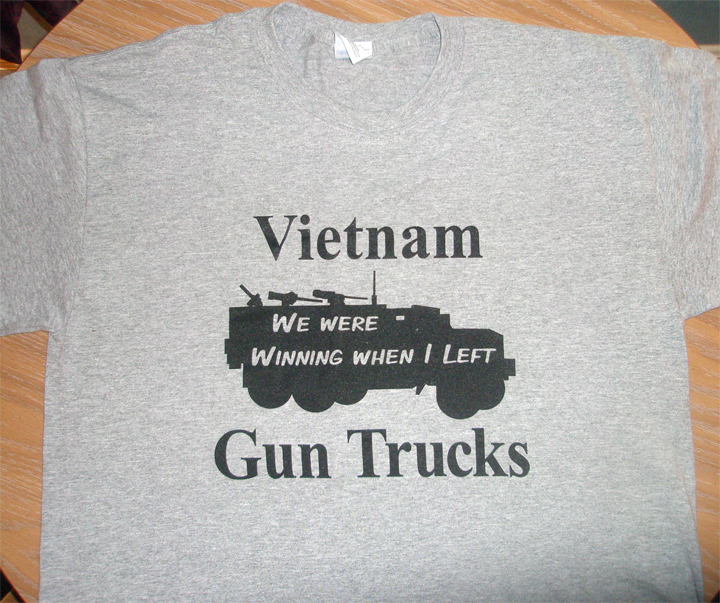 Click here to see a video of GUN TRUCKS Rolling at the Gun Truck Gathering! 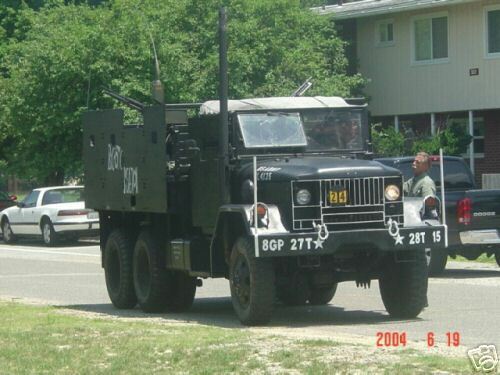 7 GunTrucks at Gathering, Pigeon TN Aug 2008! 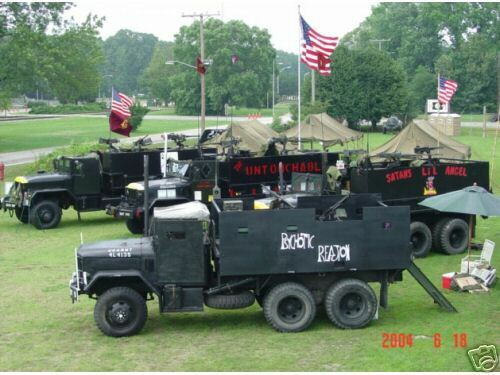 3 GunTrucks at the Welcome Home in Auburn, IN 2008! 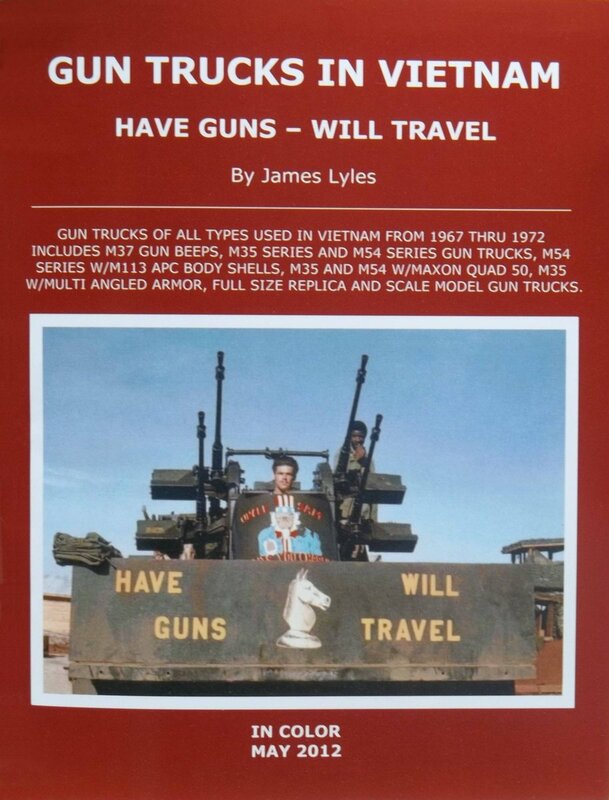 The books you need to read to learn about Gun Trucks and Gun Truck Convoy protection in Vietnam! We're adding pictures at the bottom of page; scroll all the way down! 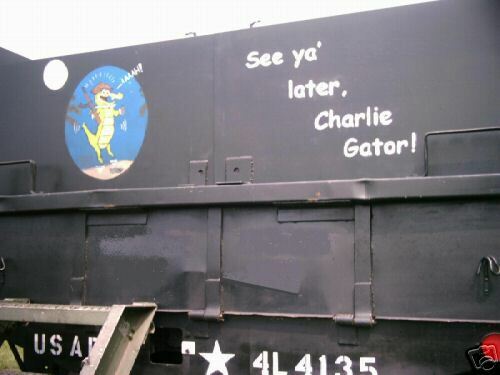 and stop by again anytime! 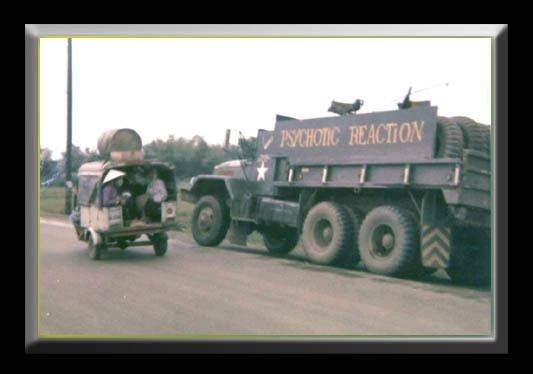 Good view of the "Psychotic Reaction" as it was on display in June 2004 at the gathering of Vietnam Gun Trucks in Ft. Eustis, VA.
For Gun Truckers T-Shirts, click here or on any of the shirts! 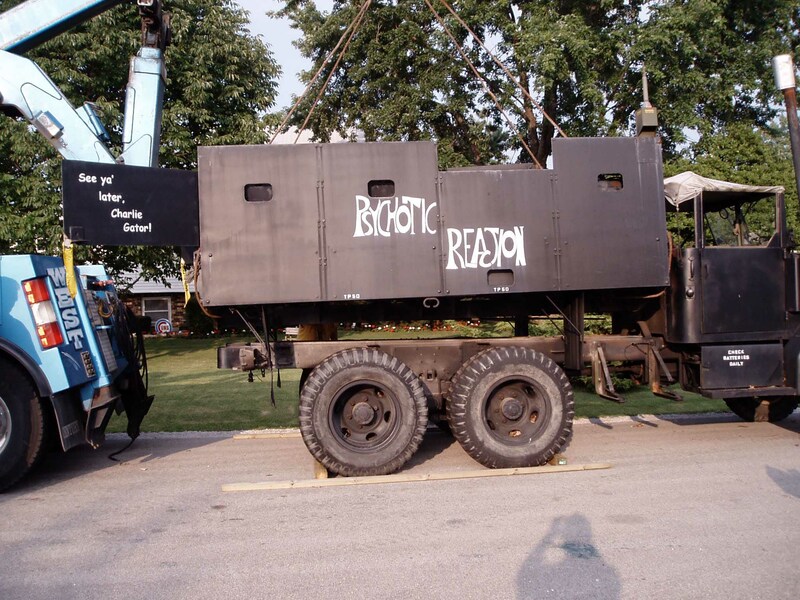 Over Labor Day weekend 2004, the "PR" made another road trip from the east coast to Wheaton, IL. Unfortunately the last 30 miles had to be behind a tow truck. 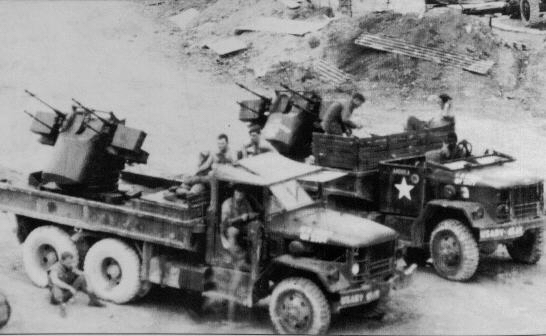 The "PR" threw a rod thru the side of the engine block, and could no longer develop enough power to move safely on the highway. 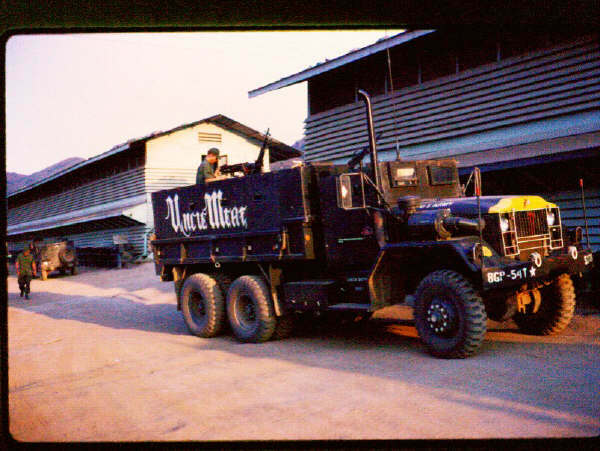 Yes, amazing but true, the engine continued to run on FIVE cylinders until the astonished driver shut it down, although it was not pretty and certainly not safe. 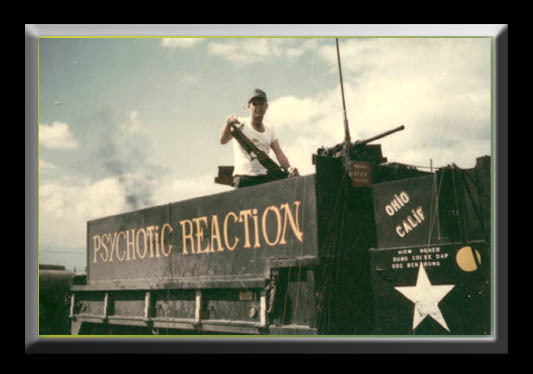 Click here to go to the Psychotic Reaction Labor Day Roadtrip page! 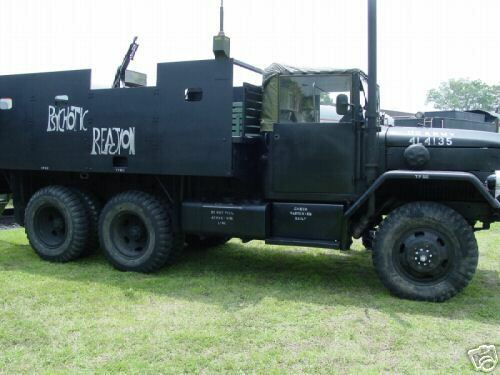 The PR Guntruck got back on the road with a major transplant operation. 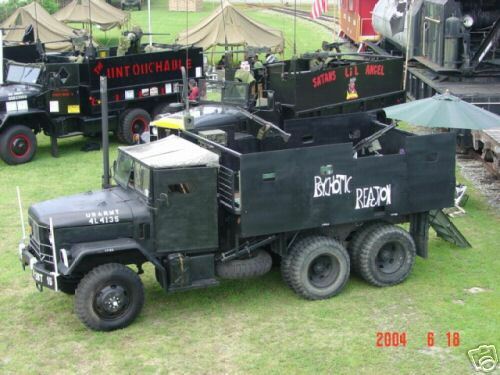 Here's what it looks like to lift the gunbox off the chassis. 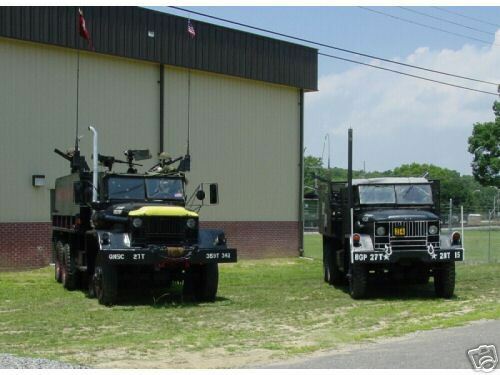 The very next day the PR Guntruck was doing a static display with a few friends. 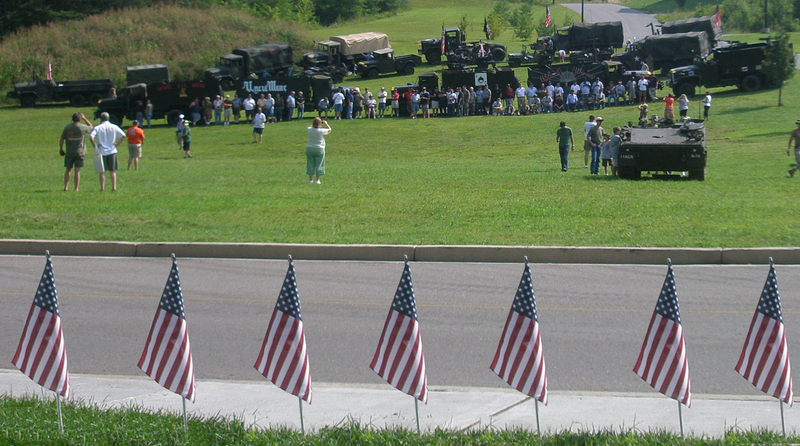 Quite a turnout; military trucks, WWII and all eras since. 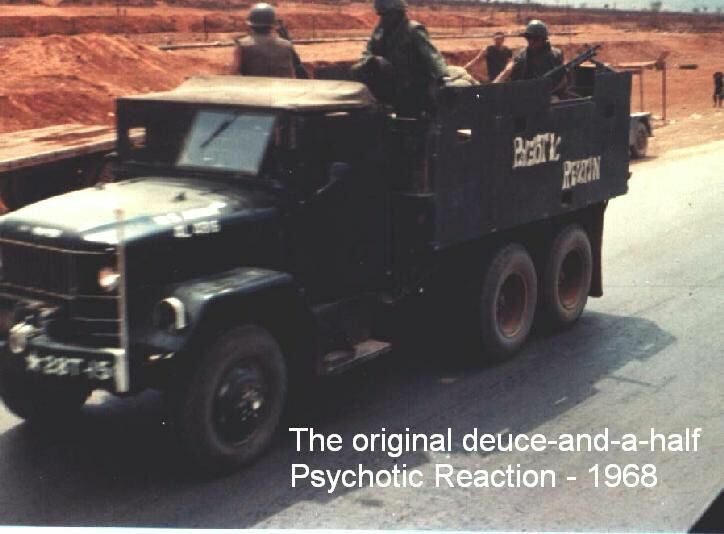 Next three pictures are in-country pictures of the Second-generation "Psychotic Reaction" built on a 5 ton chassis; presumably sometime after the 1st "Psychotic Reaction" was disabled or destroyed. 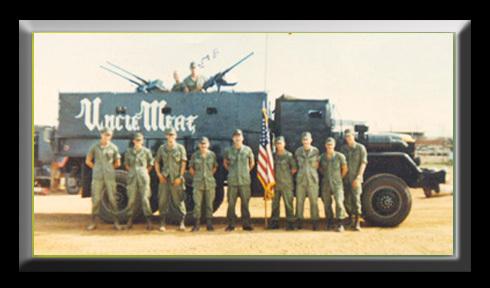 Any information as to the people, dates, or places of these photos would be appreciated! 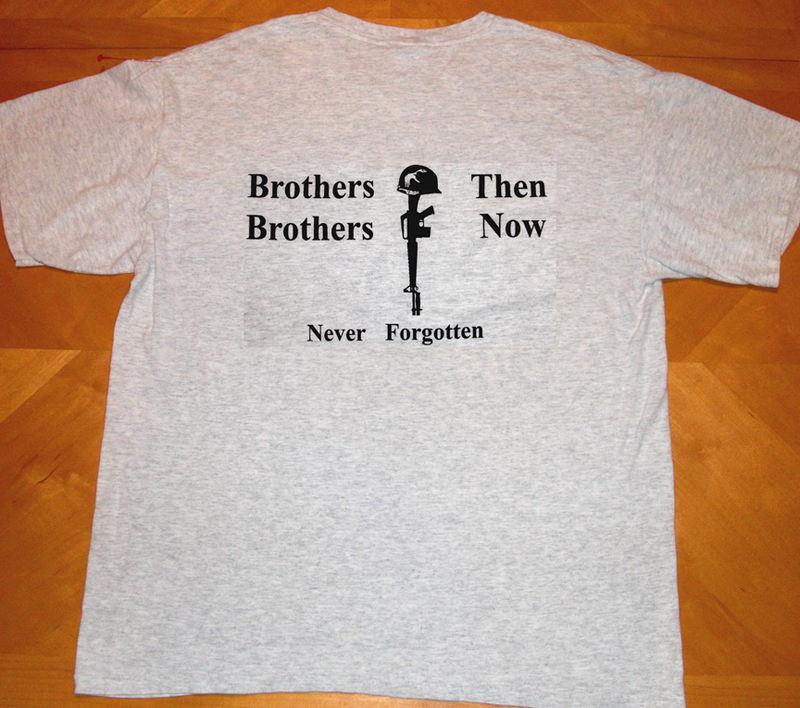 This page is currently under construction, stop by again anytime! 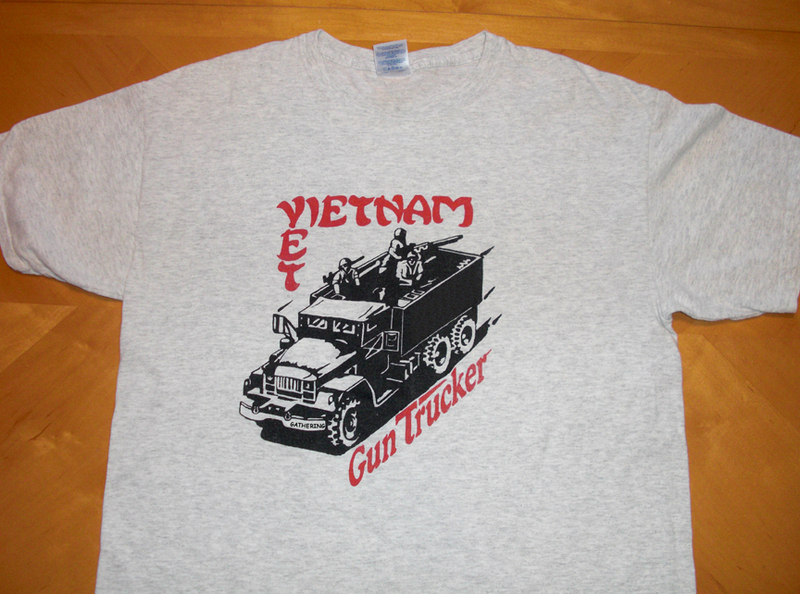 For more info on Vietnam Gun Trucks, click the links or copy and paste the addresses into a new browser page and check them out! 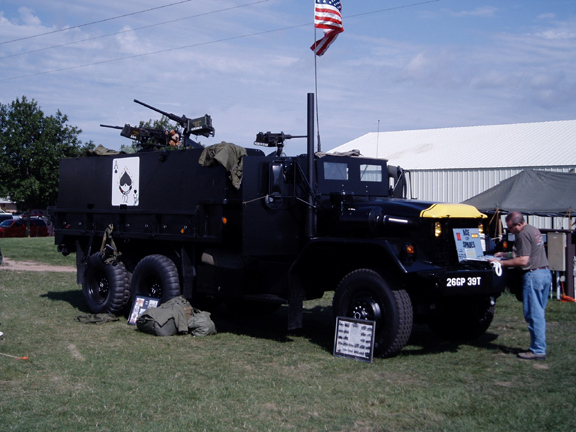 For info on Convoy Road Warriors of today using modern Gun Trucks click this link here! 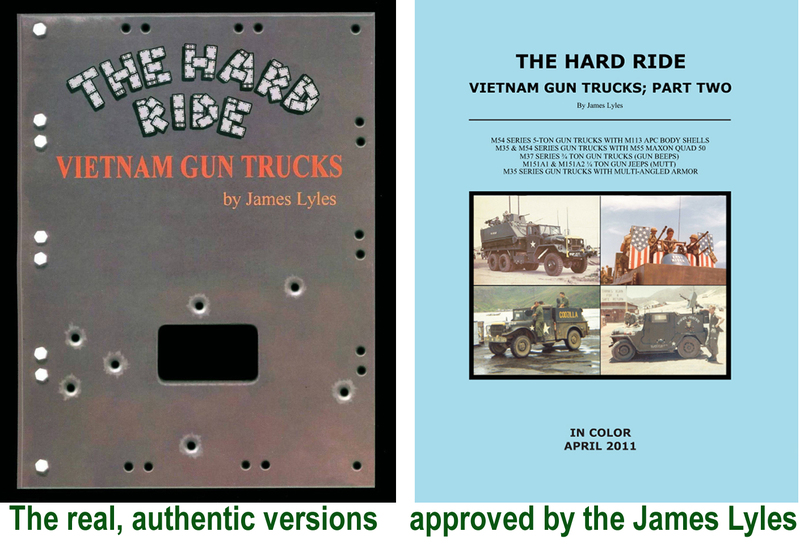 These are the books you need to read, to learn about Gun Trucks in Vietnam!